Men in Black 3 Review – Neuralyzed! Worst part: The goofy humour. Fifteen years after the original, and inexplicably popular, Men in Black introduced the world to noisy crickets, neuralyzers and the buying power of mega-star Will Smith, Men in Black 3 proves this series has out stayed its commercially successful welcome. Despite the cleverness of some of its many zany ideas, both sequels have now illustrated that the original was nothing more than a fluke. Will Smith & Tommy Lee Jones. The controversy surrounding the unwritten script and muddled ideas thrown into the film’s production has proved costly for the finished product. Its confused story somewhat establishes nothing more than a hate-filled maniac villain and a time travel premise. After the smiley yet deadly Boris the Animal (Jermaine Clement) breaks out of jail, his path leads him to agents K (Tommy Lee Jones) and J (Smith). After K is sent packing due to his murder in the 1960’s, its up to the perplexed J to travel back to 1969 to prevent Boris’ reign over mankind via alien invasion. 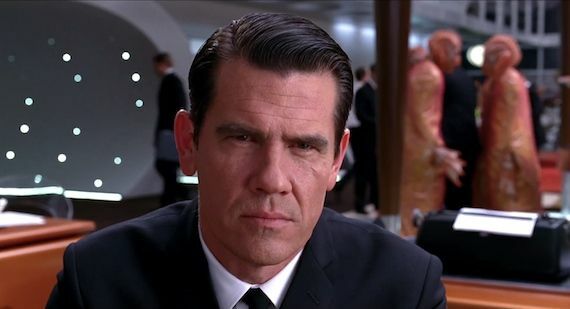 Enlisting the services of the younger K (Josh Brolin), Boris is not the only thing he may re-discover in an era of outrageous costumes, clunky technology and Andy Warhol. Jermain Clement & Nicole Scherzinger. 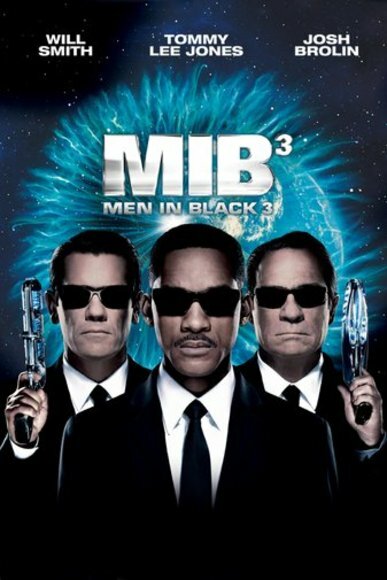 Men in Black 3 unfortunately makes many of the same mistakes as the utterly mediocre 2002 sequel. Director Barry Sonnenfeld, director of both previous instalments and Smith’s biggest flop Wild Wild West, shows off his skills and major failings. His biggest fault is the lethally unfunny comedy throughout. Everything feels like the punchline to bad satirical joke. A wink and nudge at the camera may have been fine in the glory days of Ghostbusters and The Naked Gun, but this film straddles awkwardly between sci-fi actioner and slapstick comedy. Sonnenfeld’s tired humour isn’t helped by Smith. Despite delivering his usual alluring charisma, his constant mugging at the camera, given no brakes by Sonnenfeld, quickly tires. Involving nothing more substantial than constant jokes about K’s grumpiness and old age and Smith’s ‘hilarious’ funny faces when faced with the film’s many reaction shots, prove just how uninspired this series has become. The costume design is also a huge letdown. Despite being the work of make-up effects master Rick Baker, the glaringly fake, plastic look of the practical make up also gives the impression of the punchline to a cheesy joke heard too many times before. The set designs and cinematography do however lend an allure of creativity to this otherwise pointless affair. Fluid scene transitions and constant tracking shots are impressive at the best of times, but Sonnenfeld knows how to immerse the viewer in J’s baffling experiences. “O? No, I call ladies “O”. To me O is feminine, and K is masculine. You know, I see a couple, I’m like, “O-K”.” (Agent J (Will Smith), Men in Black 3). The stand out of Men in Black 3 is the time jumps. J’s leaps off tall buildings prove to be the film’s ‘highest’ points, as the special effects fluidly transition from one important historical event to another. Its the only time one may ever see the dinosaurs, the end of WWII, and the moon landing placed in the same context. The action set pieces also prove to be a fun relief from the film’s consistent cheesiness and unfunny, conventional dialogue. The unicycle chase through Manhattan streets and the fist-fight atop the tallest point of Cape Canaveral are filmed flawlessly and provide plenty of fun distractions. Thankfully the performances also strive to defeat the film’s conventional yet confusing plot hole filled narrative and character arcs that seem to have ably fallen into a black hole. Despite constantly hearing about K’s issues in the first half, the chemistry between Smith and Jones as partners, with their yin and yang relationship, is still as palpable as it was in previous adventures. Brolin is a standout here as a perfect representation of K and Jones himself. Capturing is speech, facial twitches and chemistry with Smith proves he is worthy to take over the reigns in future time warping instalments. Predictably however, the miscast Clement (one half of Flight of the Conchords) is uncomfortably over the top as the slimy, ugly antagonist; with his Kiwi accent shining through every gravely line. 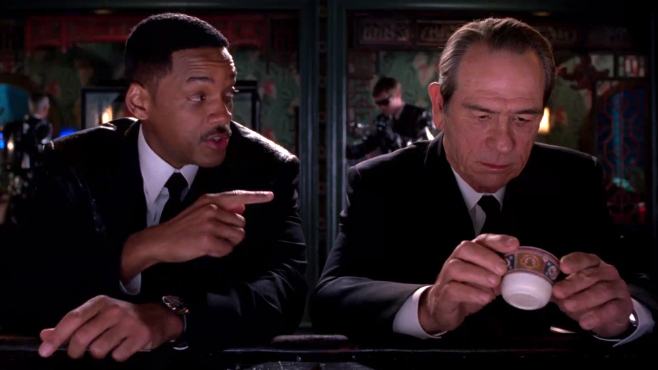 Coming out a whopping one and a half decades after the original, Men in Black 3 comes off like an unearthed tomb hidden under layers of Hollywood schlock. Sadly, like a lot of sci-fi staples, it’s better to leave the tomb underground. This sequel takes a big step backwards for franchise filmmaking. Verdict: An underwhelming and unwarranted third instalment.